Format consists of standard leaderboard and standard skyscraper. The Banners accommodate a link to the predefined landing page. Finally, create a Synchronized Ad which will contain both banners. 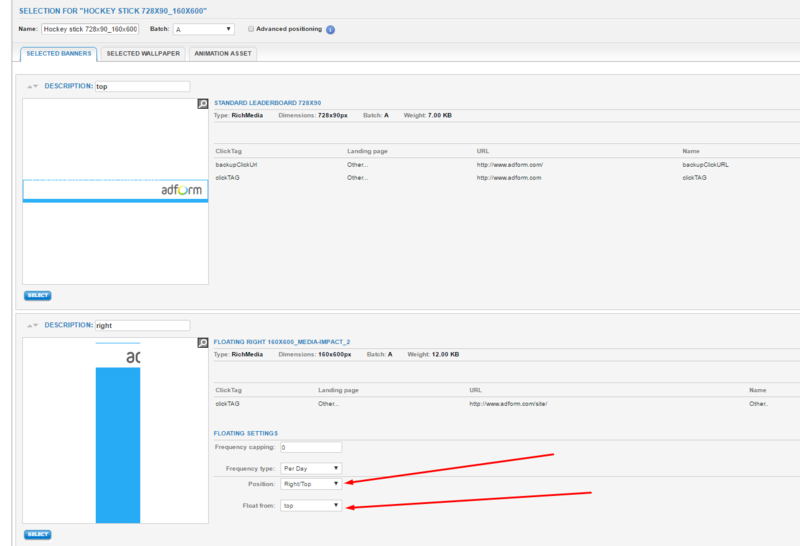 When in the Banners page (1), click the Create button and select the Synchronized Ad option from the drop-down menu (2). Please check "Position" - Right/Top and "Float from" - select first synchronized banner member. When done, click the Save button in order to see the preview. If everything is fine, click the Submit button.